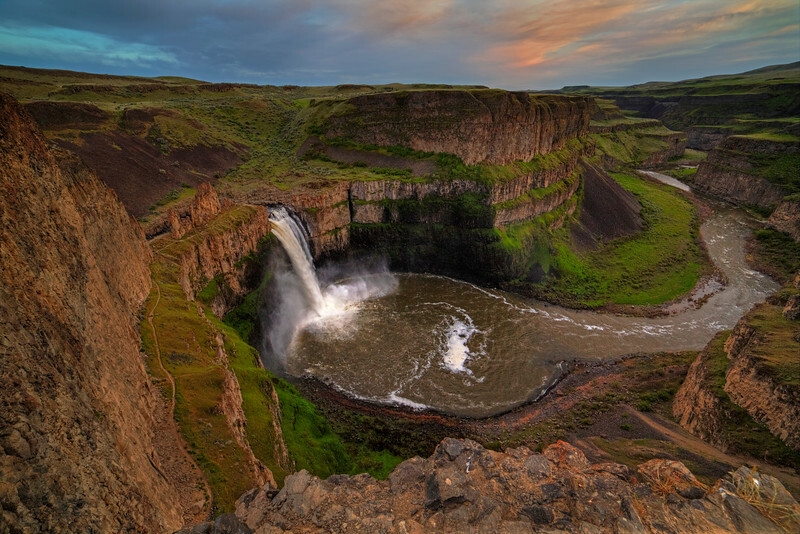 Palouse Falls drops 198 ft down in the deep canyon walls of Eastern Washington. What a breathtaking scene.... this truly is an amazing landscape! Outstanding pov on the falls...I loved getting to photograph this amazing place! Awesome shot and I love the POV!